Neo Construction Partners understands the importance of warehouse space and the need to maximize the utilization of that space. Over the years, we have earned a reputation for optimizing warehouse organization to help reduce costs and ensure that items can be stored effectively and efficiently. We strive to evaluate the space from your unique perspective and work hard to meet any specific needs you may have. Unobstructed workflow and open spaces are crucial to a productive warehouse. 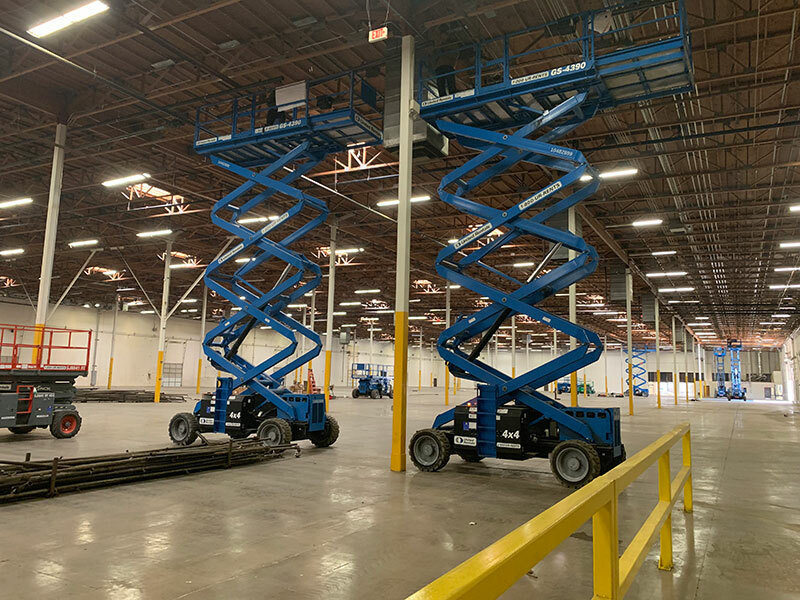 We take pride in having helped improve a variety of warehouse spaces by assisting many local companies with their remodeling and improvement projects. Our company values of integrity, honesty, and hard work are reflected in not just the end result, but throughout every step of the remodeling project. Our workload is structured in such a way that we limit the frustrations and questions inherent in any construction project. Our team of project managers and crew members is committed to consistent communication and transparency, giving you, your property managers, and onsite employees a full and complete understanding of the project and its progress. We are steadfast in our commitment to ensuring your complete and total satisfaction. We never scrimp on materials; we never skip over the details and we never, ever compromise structural integrity for surface level beauty. We understand your profits are on the line and always keep your end goal as our mission. Find out just how committed we are to your satisfaction by scheduling a personal consultation with one of our project managers now.